You will quickly feel at home with neighbors waving a friendly hello, porches calling for sitting a spell, and carefree children playing in yards. From Live Oak to Cibolo, while out house hunting in the communities around San Antonio, you'll notice folks are genuinely happy with where they live. This warm Texas hospitality adds to the excitement of an assignment to Joint Base San Antonio (JBSA) Randolph, Texas. If you have military orders for JBSA Randolph, you’ll be working in the far northeast portion of the San Antonio metropolitan area. 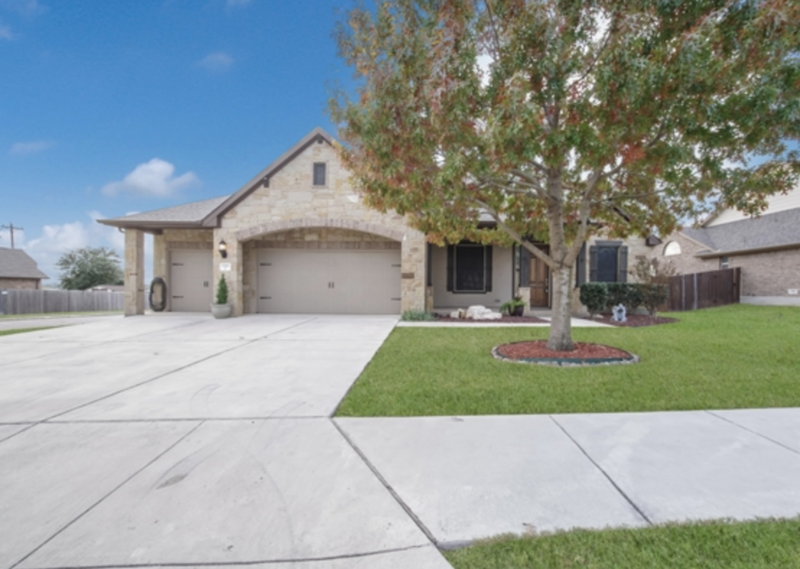 From the edge of base, traveling FM 78 towards Schertz Parkway, you’ll find this dynamic MilitaryByOwner listing in the prestigious parish of Wilson's Preserve. *Note, while these homes are no longer listed, be sure to click the links below to view more homes for sale or rent near JBSA! 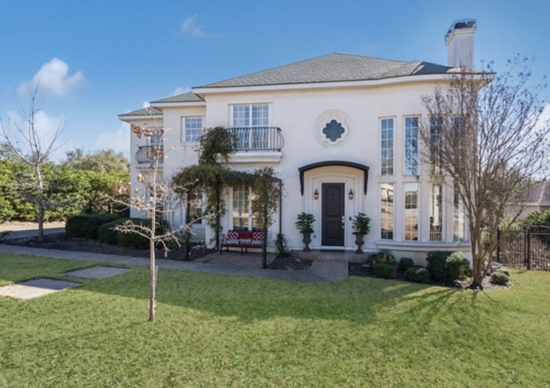 Just 5 miles from JBSA Randolph, you’ll encounter this magnificent 2,900+ square-foot manor. The marvelous flagstone facade enhances the grand 3-car garage. A stylish architectural overhang brings valuable shade to the front of the abode on a warm South Texas day. The easy care landscaping leads from the front to the fully fenced back yard. With no neighboring properties to the rear, you can watch the setting sun from your sensational screened in back porch. Plentiful natural light is oh so appealing when browsing the layout of a house. At this address, the open concept living space includes substantial sunlit doors that bring the outside in. The generous family room leads to a premium kitchen where glossy granite rests on rich mocha cabinetry. When busy with meal prep at the wraparound counter, you can keep tabs on your kiddos playing nearby. Whether collecting in the kitchen or gathering around the fireplace, this residence will make you feel as happy as a stroll through a field of Texas bluebonnets! The light and bright setting of the master suite brings an aura of luxury. With 4 bedrooms and 3½ baths, each member of your family will feel like royalty. Make the most of your assignment to JBSA Randolph with this extraordinary, family-friendly villa. A warm breeze from Texas Hill Country will bring you to another stunning MilitaryByOwner home for sale, in the borough of Summerglen. Have you ever thought of hosting a large gathering? Imagine an abundance of family members and friends celebrating together. In order to host this heartwarming event, you would need the proper venue. One step inside this delightful 3,200+ square-foot house it’s easy to see there would be plenty of room here for everyone! This welcoming living room invites guests to relax and share laughter and good stories. 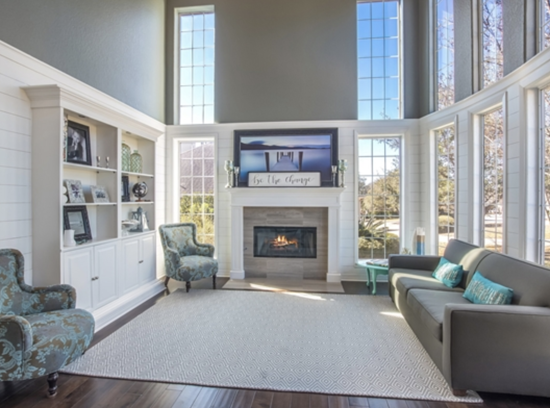 Designer ship lap lines the walls, an elegant mantel tops the cozy hearth, and cheerful sunlight streams from sky-high windows. With 4 bedrooms and 3½ baths, your family and friends will enjoy the high-end upgrades throughout this exquisite home. Lustrous light fills this spectacular kitchen complete with chef caliber double ovens and gas range. 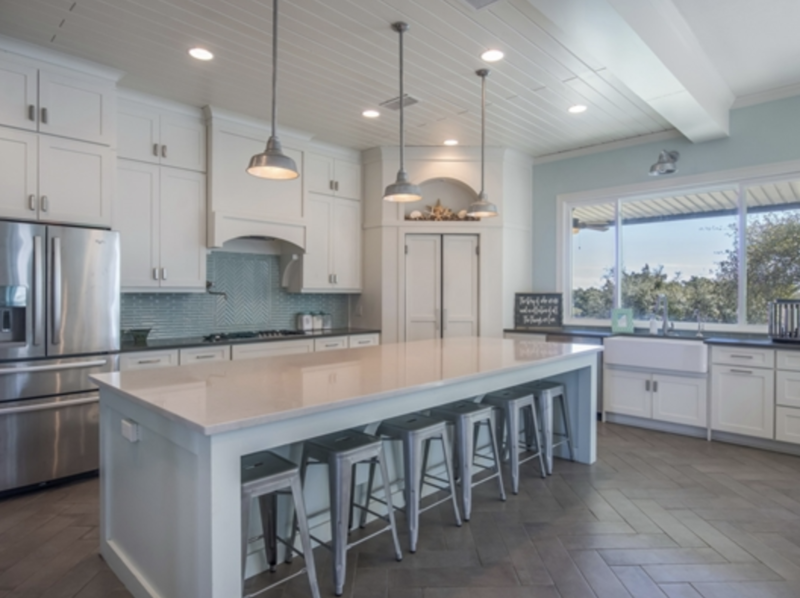 Shimmering quartz decks the splendid counters and opulent over-sized island. 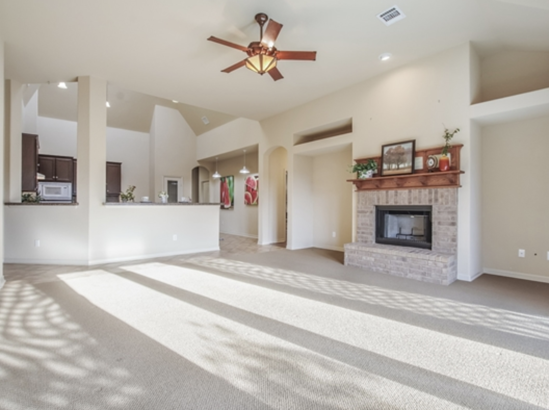 After an easy 20-mile commute from JBSA Randolph, you'll enjoy relaxing on the spacious covered patio overlooking your extensive, level backyard. 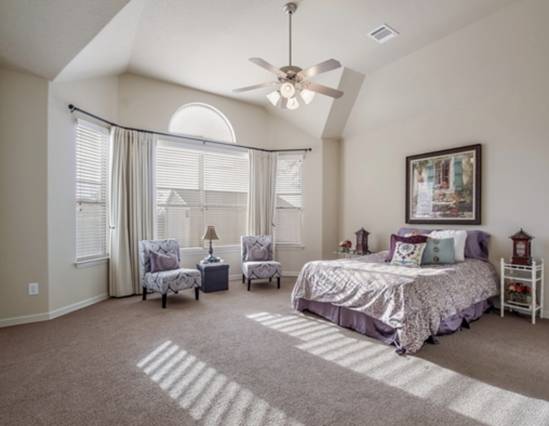 Upon moving to San Antonio, Texas, you’ll notice that the “Military City USA” mixes the amenities of a major metropolitan area with a good helping of down home hospitality. You’ll most likely find fellow military families living all around you, giving this busy city somewhat of a small town vibe. If you're currently stationed in San Antonio, we would like to hear about your Lone Star State experience. Have you found a hidden gem of an area? Do you live in a neighborhood that you absolutely love? Feel free to share with us in the comments section!